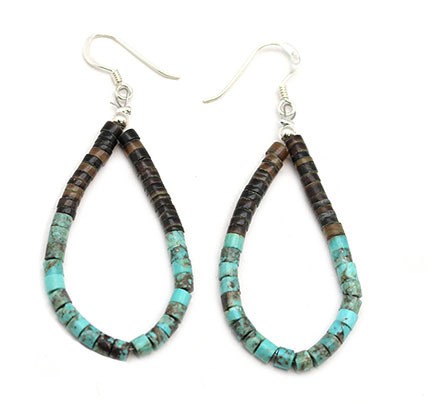 These earrings are strung with Kingman turquoise heishi and pen shell heishi. They measure approximately 2 3/8" long including sterling french wire and are about 7/8" wide. Strung by Navajo artisan Sandra Francisco. Color shade of turquoise may vary.